Every four years the nations of the world come together to celebrate healthy competition to see who reigns supreme! Black Desert Online wishes to celebrate with everyone as we unveil the Golden Goal Event! In addition, Guild Crafting is getting revamped and Gold Bars are also getting a little bit more intimate as we tie them closer to their home regions. Lastly, we bring in some hot deals as summer looms ever closer. Read below for the full list of changes coming to you this week. ◈ Golden Goal Events have been added. • Event Period: 06/20 After Maintenance ~ 07/04 Before Maintenance. 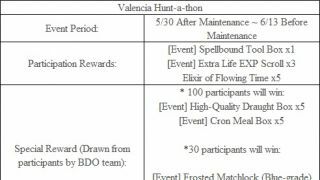 • During this event period, defeat monsters, fish, and gather [Event] Red Ball, [Event] Blue Ball, [Event] Green Ball, and exchange them for [Event] Golden Ball. • Event Period: 06/21 00:00 UTC ~ 07/04 Before Maintenance. 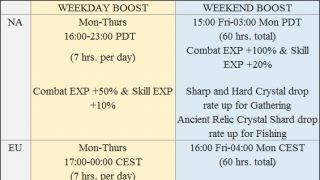 • During the event period, play an hour every day (upto 5 hrs. per day) through Challenges (Y) and claim rewards! 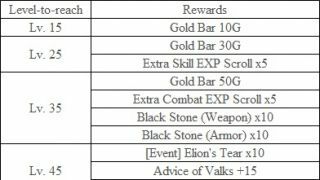 • You can exchange the [Event] Golden Ball from Morco of the Crow Merchants Guild located in Velia, Heidel, Calpheon City, Altinova, Valencia City, and Grána. • Click <Here	> for details on the celebratory event! ◈ Black Spirit's Adventure 1 has returned! ◈ Guild Crafting system has been revamped. 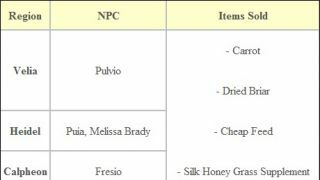 • In the Guild Crafting window, select “Select Product” and then the item and quantity you want to produce. • After you press “Start Crafting,” a menu will appear where you can input the crafting materials. • You can input the required materials from your personal inventory. • Please note that you can not retrieve items you have inputted. • Once all the materials have been inputted, crafting can begin. -Unfortunately “Complete Now” function is inactive at the moment and this will be fixed next maintenance. • The completed product will automatically be stored in your Guild Storage. • Instead of using workers, Guild members can now input items from their personal Inventories for Guild Crafting. 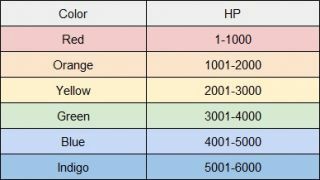 • However, you need to input all of the necessary materials to start crafting. 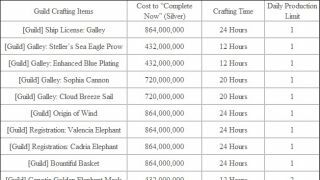 • The crafting time for each item you can Guild Crafting is set. You can use Guild Funds to use the “Complete Guild Crafting Now” function and finish crafting an item immediately. • You cannot choose multiples of the same item for Guild Crafting. 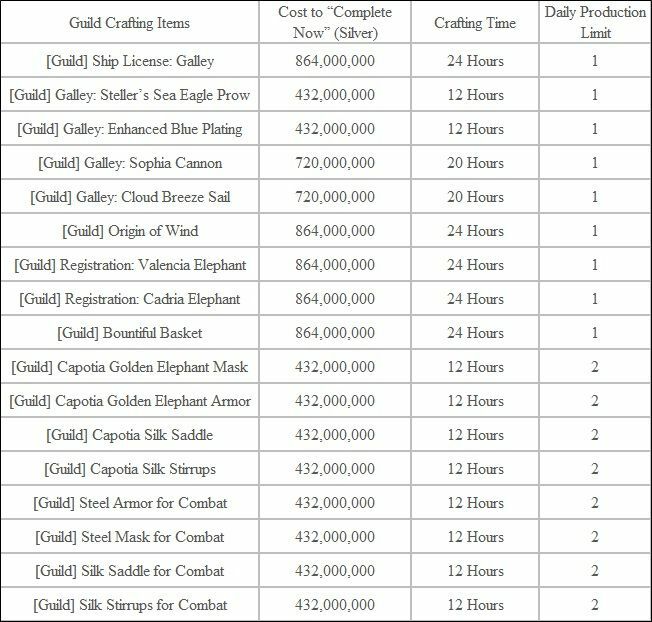 • There is a daily limit for each craftable item through Guild Crafting. 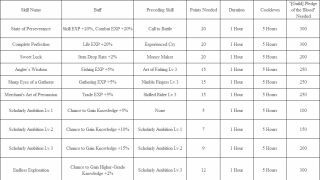 • Each craftable item through Guild Crafting can be crafted one at a time..
-The Guild skills, house and materials you would need for Guild Crafting have not changed. • Guild Activity will not rise for Guild Crafting. ◈ Materials for the items that were under Guild Crafting before the changes made with the 6/20 maintenance will be returned to Guild Storage. ◈ When the materials are returned, they may not be correctly stacked if you have the same material in your Guild Storage. In that case, if you transfer the items to your personal inventory and then transfer them back into the Guild Storage, the items should be correctly stacked. ◈ World Boss Offin has been relocated! • World Boss Offin will now spawn in Holo Forest of Kamasylvia. You can locate its new spawn location by opening up the World Map (M). ◈ [NA only] Due to regular maintenance occurring at 03:00 PDT on Wednesdays, world boss Kzarka will has been moved to spawn at 03:00 PDT on Thursdays. ◈ Fixed the issue there ‘Assemble!’ function could not be used at the start of Conquest Wars. 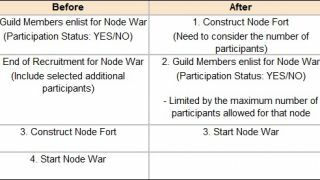 ◈ Fixed the intermittent issue where annexes and installments of Node/Conquest Wars would be overlapped together when installed. 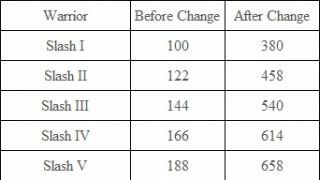 ◈ Additional damage inflicted from Trina Demolition Axe on castle gates has been removed during Conquest Wars. 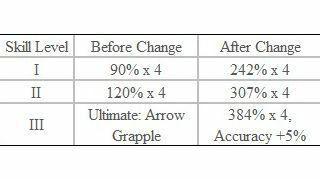 • We found the irregular phenomenon in Trina Demolition Axe on attacking castle gates during internal testing, and this removal of additional damage was decided as a temporary measure. We plan on reapplying the additional damage back to the Trina Demolition Axe once the irregular issue is resolved. ◈ The plaza area of Crescent Shrine in Valencia has been refined to allow freer movement of characters. ◈ Fixed the graphical issue where objects in some areas of Helms Post would appear to be overlapped when Graphics setting was set to Optimal under Display Settings in Settings. ◈When a character holds up a Torch, the Torch effect will now show. ◈ Fixed the issue where current location of the character in some areas of Weita Island wrongfully came out as Cron Islands. ◈ Secret Shop NPC Morco of the Crow Merchants Guild will now also appear in Valencia City and Grána. ◈ Fixed the issue where the bright silhouette outline of an NPC did not show when facing an NPC. ◈ Fixed the awkward graphical glitch in the look of the characters when entering unregistrable character name in the Character Creation window. ◈ Fixed the issue where kick could not be used when switching to combat mode while moving left and right in non-combat mode. ◈ Fixed the graphical awkwardness in the armor when crouching or lying flat with the [Warrior] Onyx Jaguar outfit on. ◈ The skill Flow: Sharp Feather III can now be used by pressing Shift + RMB as well. ◈ This method has been added to the skill description. ◈ The damage inflicted of the skill Flow: Sharp Feather III activated with Shift + RMB will now be the same as the damage of the skill Penetrating Wind. (Damage will depend on the level of the skill Penetrating Wind when using Flow: Sharp Feather III). ◈ When using the skill Penetrating Wind after Dash Kick while having Flow: Sharp Feather III learned, CC effect will now be applied on the first hit and in PvE only. ◈ Fixed the issue where PvP damage would not be decreased when the skill Penetrating Wind was used again during its cooldown. ◈ Fixed the issue where the sheath would disappear when switching from Longbow to Kamasylven Sword with Karlstein Dagger equipped. ◈ Fixed the graphical awkwardness in the arms of the Sorceress upon equipping a Sub-weapon. ◈ Fixed the issue where CC skill effect of the skill Feral Stampede would not be applied on distant targets. ◈ Fixed the issue where damage cannot be inflicted intermittently when using the skill Tree Climb. 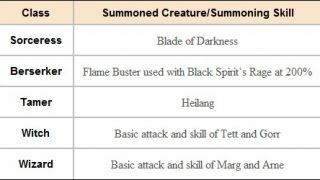 ◈ Fixed the issue where the skill Heilang: Howling and Command: Attack would be cancelled if Tamer was inflicted a hit during the attack motion. ◈ A skill motion has been added that will allow the Valkyrie to move forward and switch to the Awakening weapon when the C key is pressed after using the skill Divine Slam. ◈ Fixed the graphical issue where the face would penetrate through the helmet upon equipping [Valkyrie] Venslar Helmet depending on the size of the head. ◈ Fixed the graphical issue where an unnatural line would appear on the neck part of the Witch. ◈ Fixed the graphical awkwardness in the motion of the attacked target when Flow: Tornado Kick is used after using the skill Knee Hammer by the Striker. 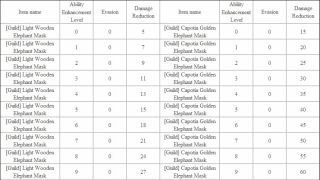 ◈ The 2nd attack effect of the skill Heavy Fist performed while standing has been edited. 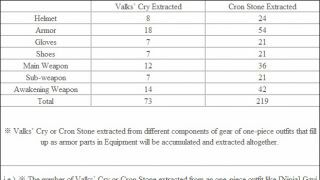 ◈ Processing method of Stonetail Fodder has been added to the tooltip of the following crops for Farming. 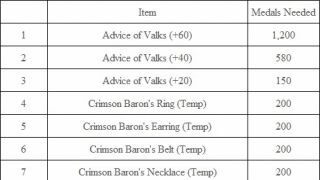 ◈ The cooldown and duration of Stun effect upon good hit have been changed for the following items. • Cooldown: 5 sec. > 10 sec. • Stun on good hit: 10 sec. > 5 sec. ◈ Lahn outfit has been included to the list of obtainable outfits from [Event] Lahr Arcien Classic Set (7 Days). ◈ Fixed the issue where the bow of the Saunil Archer seemed to appear levitated in air. 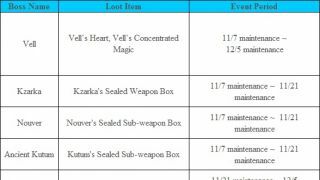 ◈ The drop rate of the loot items from monsters in the following areas has changed. ◈ Young Nineshark, Young Candidum, and Young Black Rust have been added around the border area of Ross Sea and Margoria Sea. • Upon defeating Young Nineshark, Young Candidum, and Young Black Rust, you can obtain Young Sea Monster’s Neidan, Young Candidum's Shell, Young Black Rust Jawbone, or Young Nineshark's Fragment. • Sailing Skill EXP can be obtained upon defeating Young Nineshark, Young Candidum, and Young Black Rust. However, Life EXP boost will not be applied here. 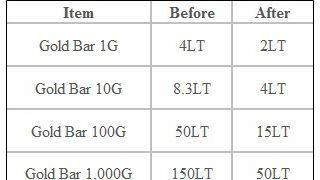 • Perform Heating on green-grade Young Candidum's Shell x10, Young Black Rust Jawbone x10, or Young Nineshark's Horn Fragment x10 respectively to obtain blue-grade [Guild] Candidum Shell x1, [Guild] Black Rust Jawbone x1, or [Guild] Nineshark’s Horn Fragment x1. • Perform Heating on Young Sea Monster’s Neidan x10 to obtain [Guild] Sea Monster’s Neidan x1. ◈ The list of areas on Item Drop Information window will now be displayed in the order based on Recommended AP (Highest first) of the areas. 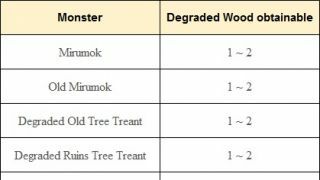 ◈ Some of the monsters unnaturally positioned in Mirumok Ruins have been removed as the terrain near Holo Forest has been changed. ◈ Icons to locate the following world/field bosses have been added to the World Map (M). 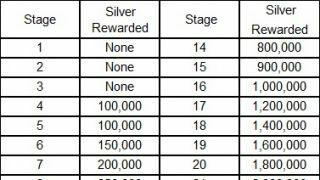 ◈ Gold Bars that are handed out as rewards from the main quest line have been changed to specific gold bars that represent each Territory they are being issued from. ◈ New processing method to obtain [Guild] Sea Monster’s Neidan x1 by Heating Young Sea Monster’s Neidan x10 has been added. ◈ Copyright window on game Settings will now be shown in full screen. ◈ A new feature has been added to check the remaining time for usage of Blessing of Kamasylve, Value Pack, and Merv’s Palette. • If there are less than 72 hours left on the usage effect for these times, the remaining time text box and alarm effect will be added to the item icons. 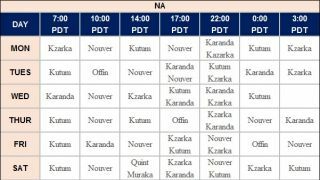 ◈ Main Server UI would not be displayed temporarily in the Server Selection screen. ◈ Text description for Arsha Server has been edited on the Server Selection screen. 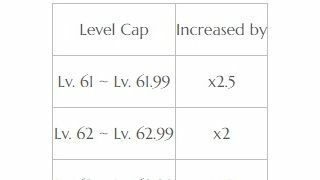 • As PvP rules have been made same as normal servers, such related text has been removed and text stating Item drop rate for defeating normal monsters will be 50% higher compared to other servers has been added. ◈ Fixed the item tooltip text that appears when registering Snowball Rosefinch or Snowflake Rosefinch. ◈ Fixed the issue where an irregular item’s icon would be displayed upon using the item Blacksmith’s Secret Book with Enhancement Chance stacked over +100. ◈ Fixed the issue where house doors in Velia would be penetrated through without collision intermittently. ◈ We are aware that revised Accuracy effects are not implemented properly and the fix is in progress. • The revised Accuracy effects are displayed with “Accuracy + n%” in the skill tooltip window. 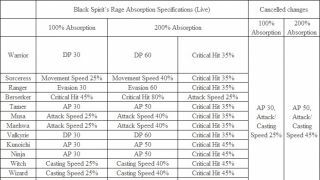 ※ Many of our adventurers have reported that Accuracy is not being implemented properly, including for the Witch and Wizard, and we went through an extensive review in covering all skills of all classes. As a result, we confirmed on this issue and we are working to fix it fast. Typically for the Witch and Wizard, these two classes utilize many skills that are affected by the revised Accuracy and thus the issue might have been felt stronger. We sincerely apologize for the extended review process and the inconvenience we have caused. This known issue is scheduled to be fixed next maintenance. We apologize once again to all of our dear adventurers. ◈ We are aware of the Campsite Shop issue where items offered would appear unpurchasable even when you have enough Silvers in your Inventory. We are currently working on a fix. ◈ We are aware that Guild Crafting’s ‘Complete Now’ button is inactive at the moment. This will be fixed next week’s maintenance. 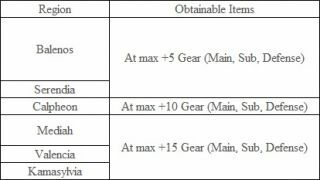 ◈ Hunter’s Seals will not be exchangeable with Thyshelle Arms in Tarif temporarily. Upon right-clicking the Hunter’s Seal item, navigation to Thyshelle Arms will be activated but item exchange will not be possible. This temporary revision will be restored next maintenance. Hooray for acknowledging the wiz/witch bug!